Our best-selling lighthouse wedding favors! 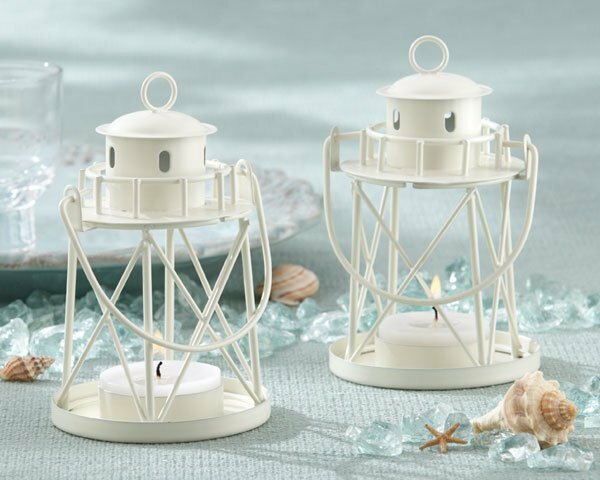 Like a lighthouse leading sailors into safe harbor, our stunning lighthouse tealight holders will lead guests into the picturesque beauty of your event! Creating a heartwarming glow with the included tealight candle, each cream-colored metal favor stands 4-1/2" by 2-3/4" in diameter. The design features windows and a railing around lantern room at the top of the candle holder. Makes an ideal favor for a nautical or beach-themed event. 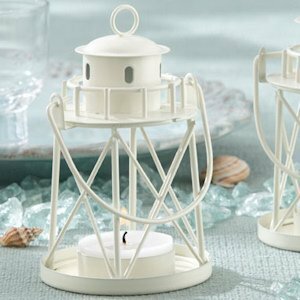 The Lighthouse Tea Light Candle Holder is 4-1/2” tall.